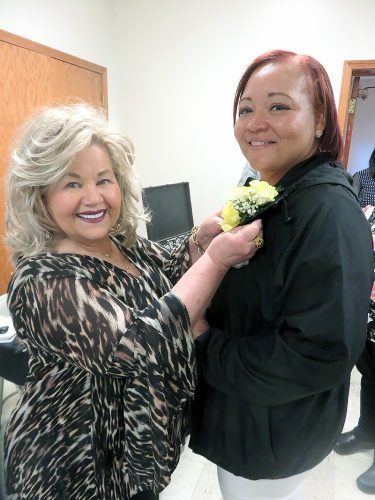 WEIRTON — The GFWC Weirton Woman’s Club is sponsoring a “Fashion to the Maxx” Style Show featuring fashions by T. J. Maxx of Steubenville. The fundraiser will be held Sunday at Undo’s in Weirton. Doors open at 1 p.m. with the luncheon served at 1:30 p.m. Show time is 2:30 p.m. There will be a Chinese auction, a 50/50 drawing and door prizes. The cost is $30 per person. Contact Delores Azzarello at (304) 723-0954 for advance tickets. No tickets will be sold at the door. The fundraiser will enable the club to contribute to community projects. 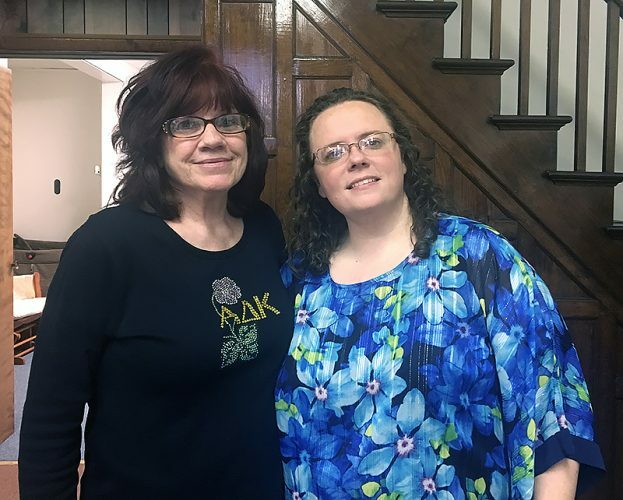 BURGETTSTOWN — Paris Presbyterian Church, 127 Steubenville Pike, will host a performance by Christian singing group Heart-Beat! on Friday, beginning at 7 p.m. The concert is open to the public. The Christian praise and worship band based in the South Hills suburbs of Pittsburgh performs a mixture of contemporary, original and classic praise songs. BRILLIANT — Jim Everson presided at the Brilliant Lions Club meeting Nov. 1 where plans were discussed for the Christmas dinner that will be held Dec. 6 at the Brilliant Christian Church. An announcement from Susan Nolan, Buckeye North Elementary School principal, was read about a Veterans Day program to be held at the school and presented by the Brilliant American Legion Post on Friday, beginning at 9 a.m.
Everson said the zone meeting will be held Nov. 27 at 6 p.m. at Zalenski’s in Wintersville. A cabinet meeting will be held for Ohio on Nov. 18, according to a written report from Terry Snyder, Ohio Lions second vice chairman. Kevin Huggans and Esther McCoy were in charge of the Boatsies Boxes program for overseas veterans for Christmas. Members signed Christmas cards to go along with the stockings. Ralph Nicholson gave a report on the road collection for the Lions for needed area programs. The next meeting will be held Nov. 15. WINTERSVILLE — Open to the public, the Italian American Cultural Club’s annual wine-tasting fundraiser will be held Friday at St. Florian Hall in Wintersville. Doors open at 5:30 p.m. for Festa Del Vino, which supports the club’s scholarship program and summer camp that teaches children the Italian cultural. More than 200 bottles of wine will be served, along with authentic Italian food, provided by Piergallini Catering, and numerous types of Italian biscotti. The wine tasting begins at 6 p.m. The event will include a “Pot of Gold,” an Italian (Chinese) auction, a silent auction and a door prize. The entertainment will be provided by the Ohio Valley Youth Network, under the direction of Bobbyjon Bauman, its president. The entertainers scheduled to perform will be Glory Dami, 2016 Valley’s Got Talent soloist winner; Jacqueline Shea, 2015 Valley’s Got Talent overall winner; and Emmanuel Gessler, 2017 Valley’s Got Talent instrumentalist runner-up. Tickets are $35 per person and can be purchased at the door or at Scaffidi’s Restaurant or Pittera’s Pizza. RICHMOND — A Let’s Fight Together fall fundraiser will be held from 3 p.m. to 7 p.m. on Saturday at the Glenn Mills Community and Senior Center located at 7576 state Route 152 S.
“We will be having a soup and sandwich benefit on the bottom floor,” explained T.J. Anderson, founder of Let’s Fight Together, which offers support to area residents on kidney dialysis. There also will be homemade sandwiches and soups. The first helping is by donation and $2 extra per item after that. The fundraiser also will include drawings, a bake sale, a jerky sale and a 50/50 drawing. On the top floor of the center, there will 20 vendors and crafters. For information or to donate, contact Anderson at (740) 512-3278. SMITHFIELD — Plans were made for a pre-holiday luncheon when the Smithfield Senior Citizens met at the United Presbyterian Church, with Bernice Francis presiding. The event will be held at Frank’s Restaurant in Bloomingdale Nov. 20, beginning at 1 p.m.
A donation was made to the American Kidney Foundation in memory of Margaret McCain, a member of the group. Another donation was made to the Smithfield Food Bank and the area fire department. The group is collecting medicine bottles to send to an organization making park benches from the containers as well. The group was invited to the Altercare Center on Nov. 15 for a Thanksgiving event in the dining room, beginning at 11 a.m. Plans were discussed to have an Altercare employee come to the March meeting for blood pressure readings. The next regular meeting will not be until Jan. 15 at 1 p.m. Esther McCoy will serve as hostess. Betty Ruttencutter led an activity session where members decorated miniature pumpkins. 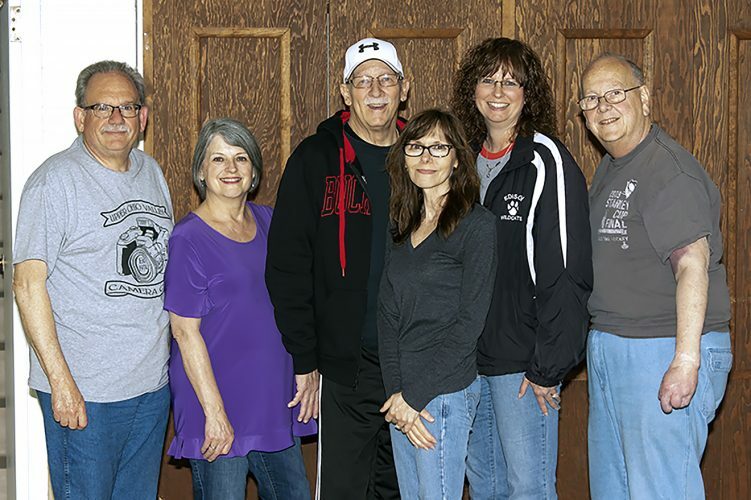 COLLIERS — Country Friends will host the Buffington Brothers on Friday and the Sands of Time on Saturday at the Memorial Hall located at 67 Police Lodge Road, Colliers. Open mic is Monday. The doors open at 4 p.m., the covered-dish meal is served at 5 p.m., and open mic begins at 6 p.m. and ends at 9 p.m. There is no cover charge on Mondays, but donations are appreciated. For information, call (304) 479-1270, (304) 748-2816 or (304) 797-0122. For a monthly schedule e-mail owlcinder@yahoo.com. WEIRTON — The Greater Weirton Senior Center at 3425 Main St. has announced a number of events planned for November and December. Friday: Bingo will be held from 6 p.m. to 10 p.m.
Nov. 15: A dance will be held with live entertainment by Light Touch. The doors will open at 5 p.m., and the band plays from 7 p.m. to 10 p.m. Free refreshments will be available. There is a $5 door charge. Nov. 22: A community Thanksgiving dinner will be held from 11 a.m. to 3 p.m. Meal delivery and transportation to dinner are available by calling (304) 748-4422 or (304) 748-3490. The menu will include turkey, ham, dressing, yams, green beans and dessert. The dinner is sponsored by the Weirton Ministerial Association. Dec. 15: The annual Christmas dinner-dance will be held with live entertainment by Light Touch. The doors open at 5 p.m., and dinner will be served at 6 p.m. The band plays from 7 p.m. to 10 p.m. There will be door prizes, a 50/50 drawing and drawings for baskets. The menu will include ham, scalloped potatoes, green beans, salad, biscuit and dessert. Tickets are $12 per person and will be available for purchase the first week of November. The center’s phone number is (304) 748-3490. The Brooke County Public Library will be showing “Incredibles 2” at 5 p.m. today and its Follansbee branch will be showing “Christopher Robin” at noon Friday. Those interested in attending the free screenings should call (304) 737-1551 for the Brooke County Library or (304) 527-0860 for the Follansbee branch. Popcorn and bottled water will be provided by the libraries. WELLSBURG — The Brooke County Public Library’s Crocheting Group will meet at 5 p.m. Wednesday. The group is open to adults, from beginners to experts, who should bring their own supplies and projects. Other members will offer help if needed. Call (304) 737-1551 to register for the free group. BETHANY — The GFWC WV Bethany Woman’s Club will hold a spaghetti dinner from 4:30 p.m. to 6:30 p.m. Wednesday at Bethany Memorial Church. The dinner is open to everyone but free for all veterans. FOLLANSBEE — The Follansbee Branch Library will be offering a free basic computer class for adults at 10 a.m. Tuesday. It will be instructed by a representative of the West Virginia University Extension Service. Call (304) 527-0860 to register.